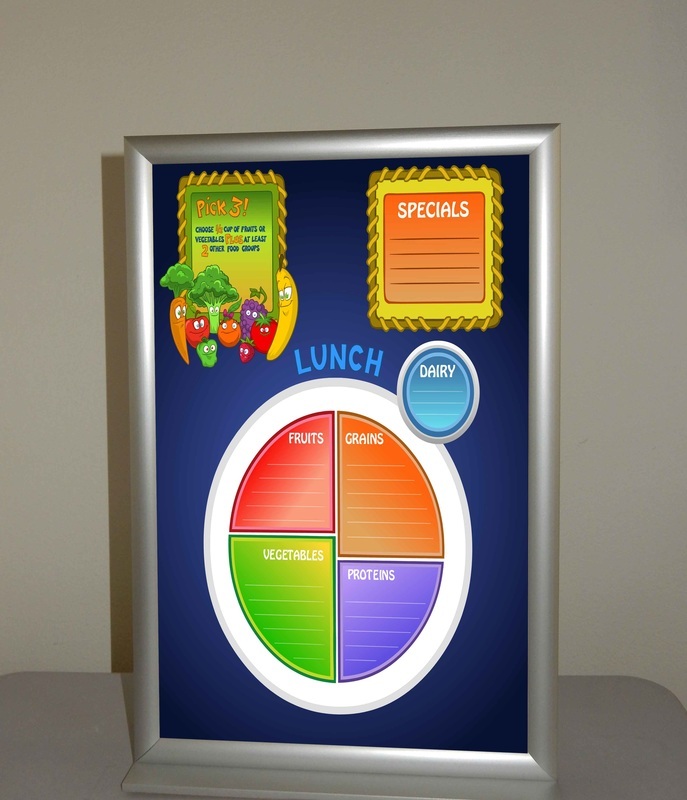 Welded steel frames offer strength and durability at value price points. 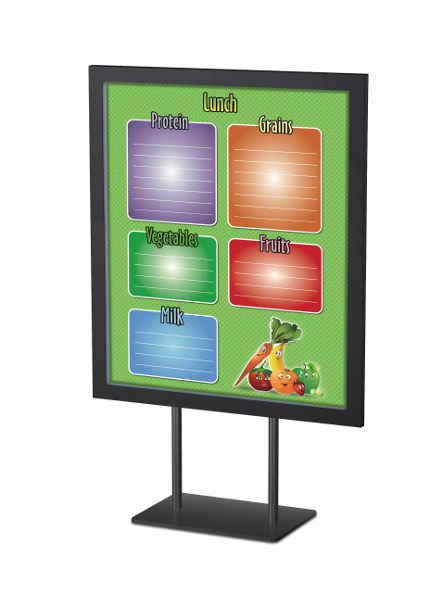 Stem - 18" Fixed or Telescopic 11" to 18"
USDA 7 CFR 220.8.a.2 states that schools must identify, near or at the beginning of the serving line(s), the food items that constitute the unit-priced reimbursable school meal(s). 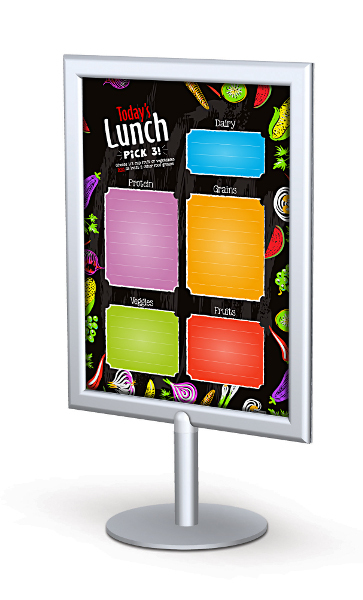 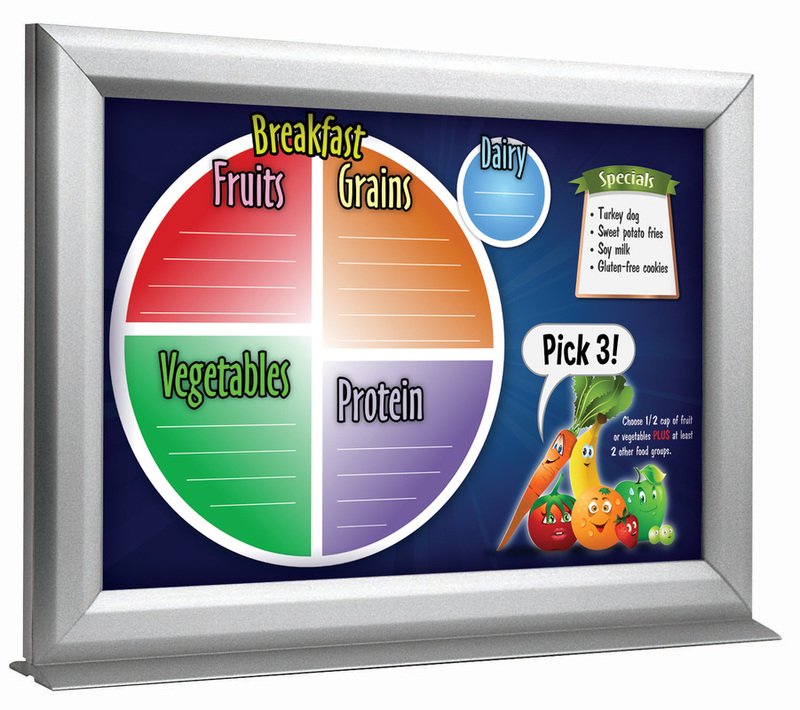 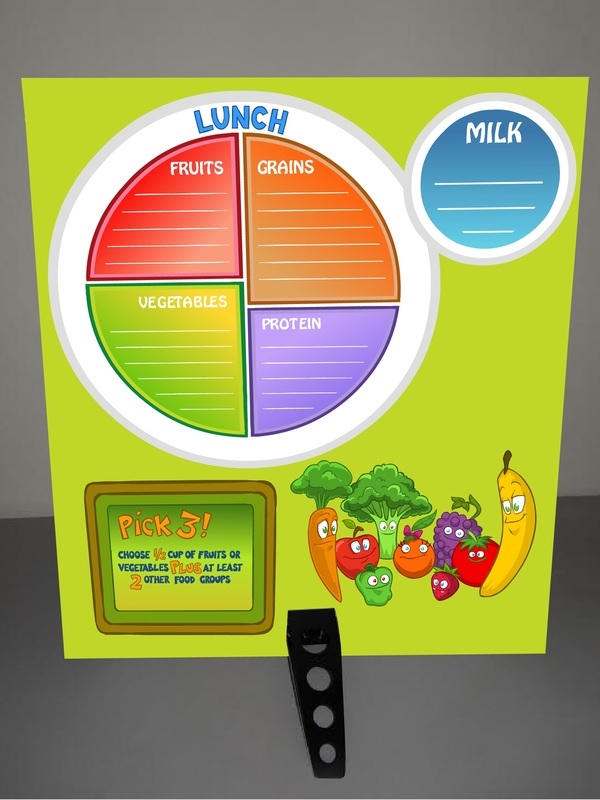 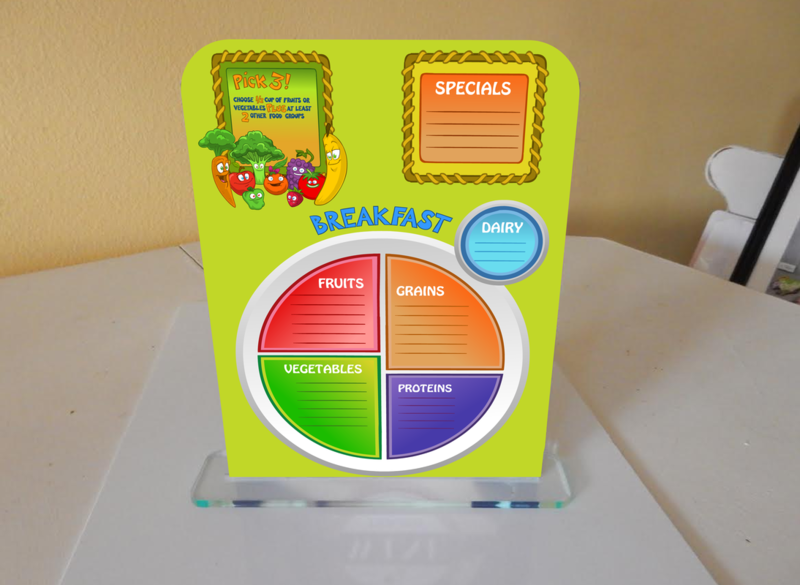 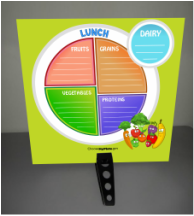 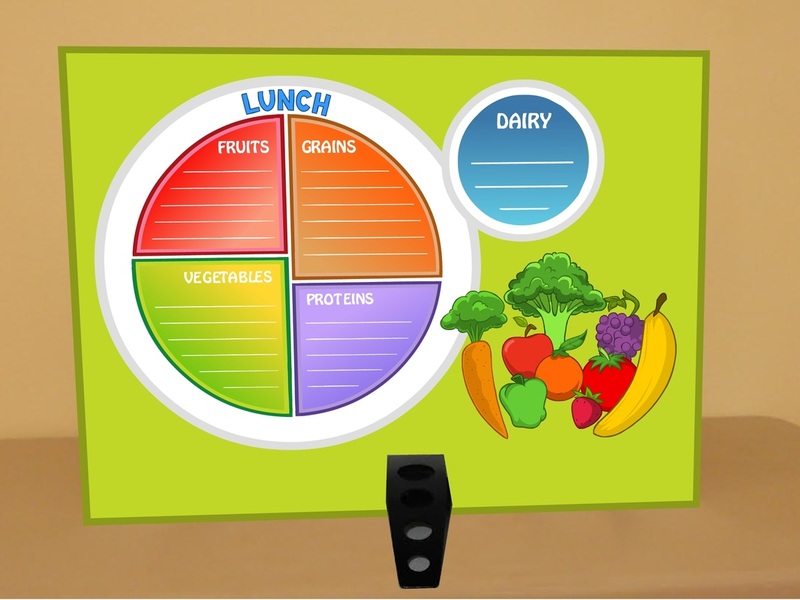 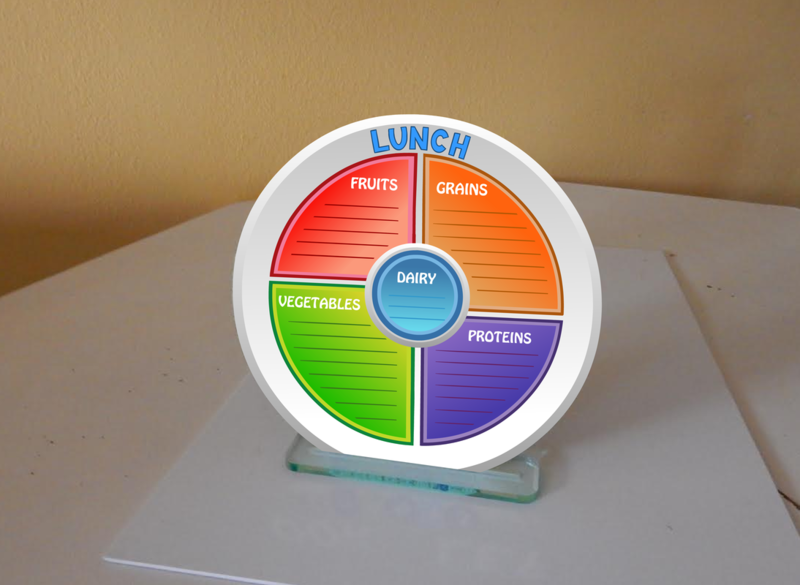 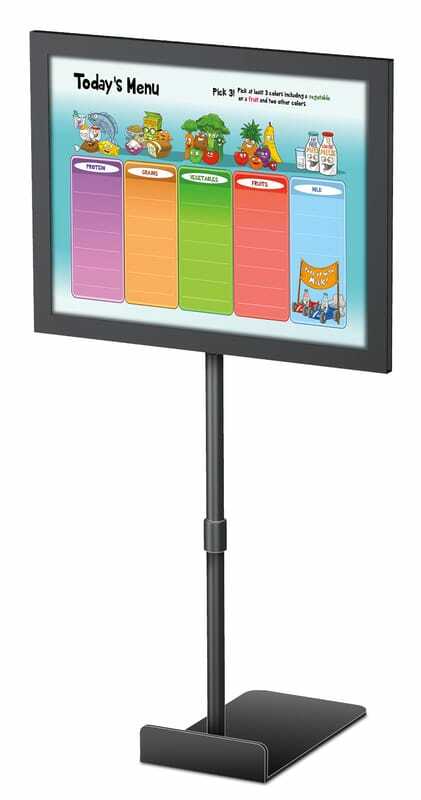 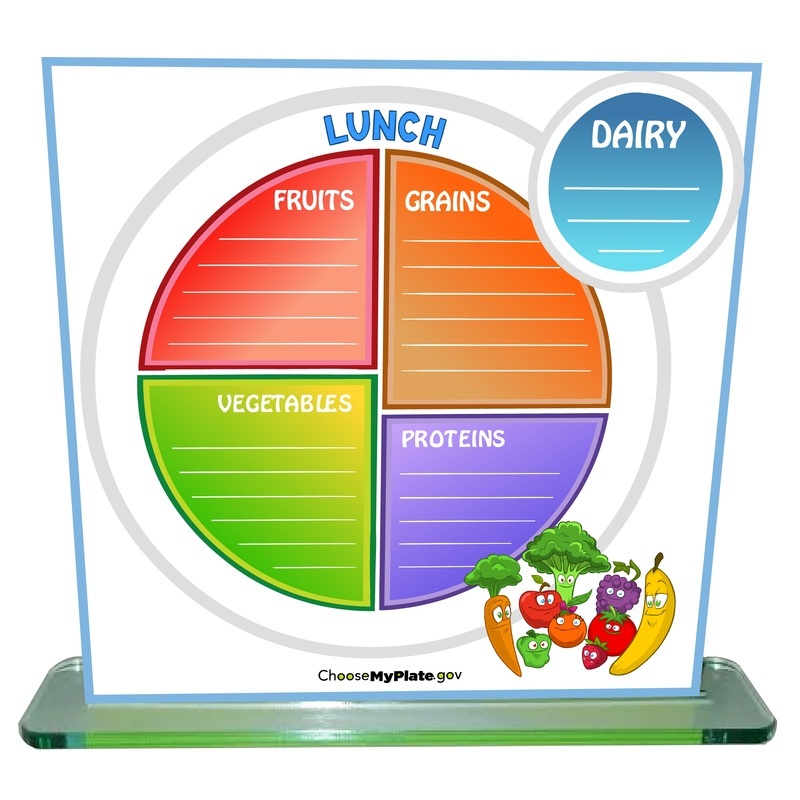 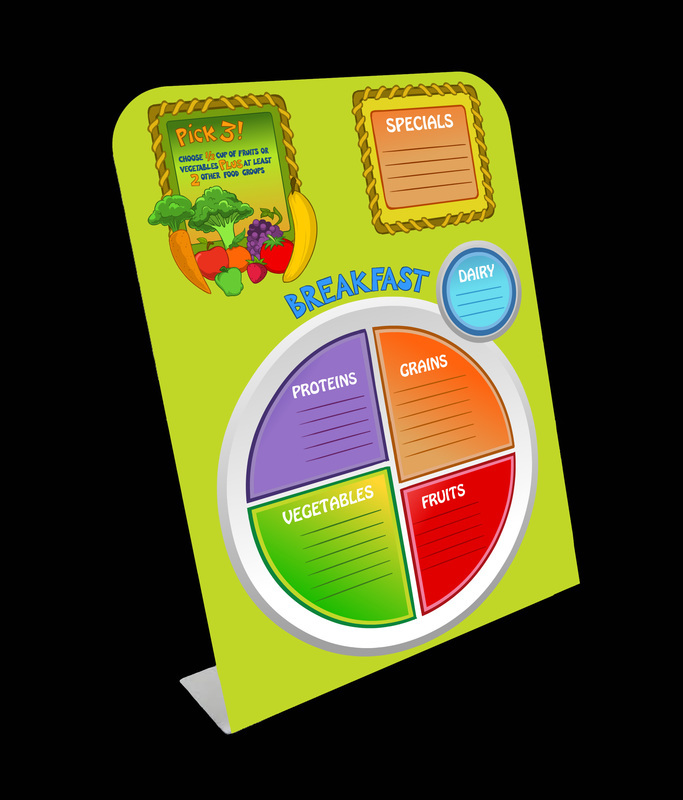 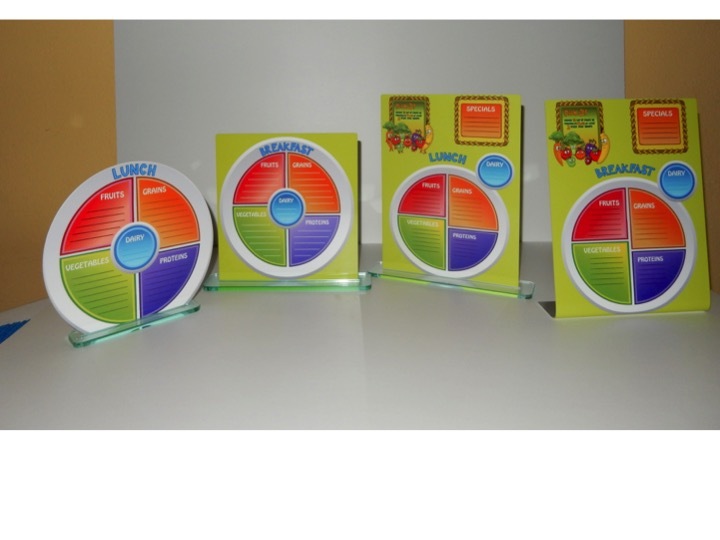 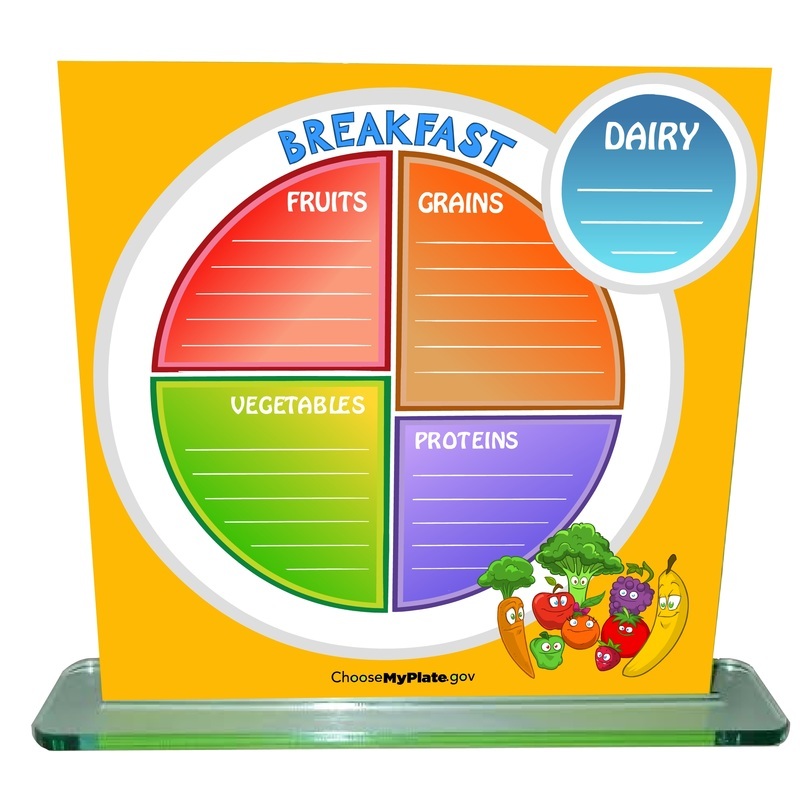 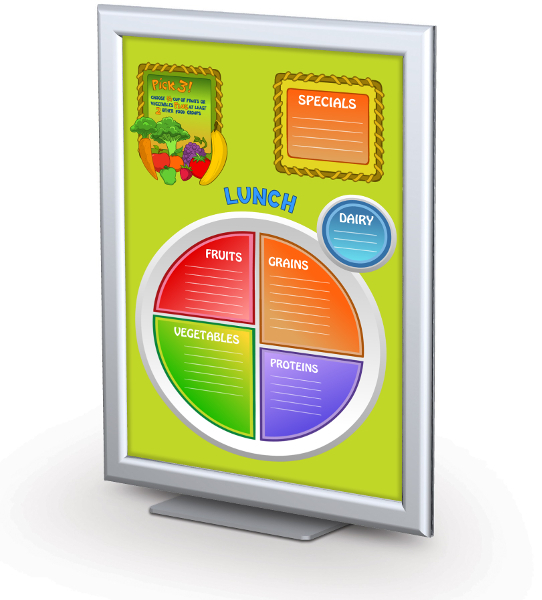 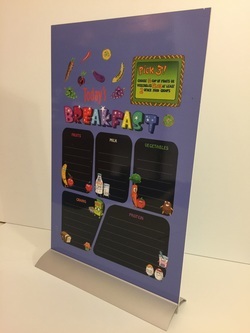 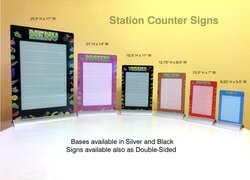 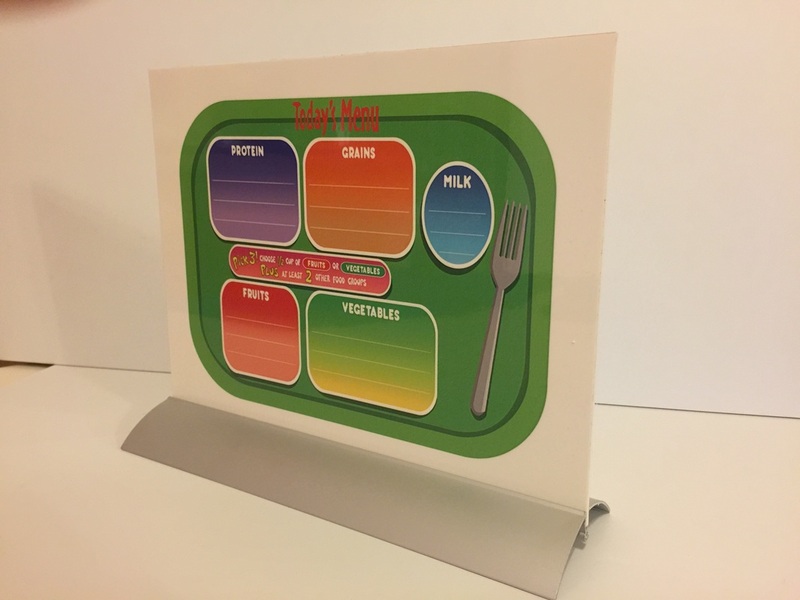 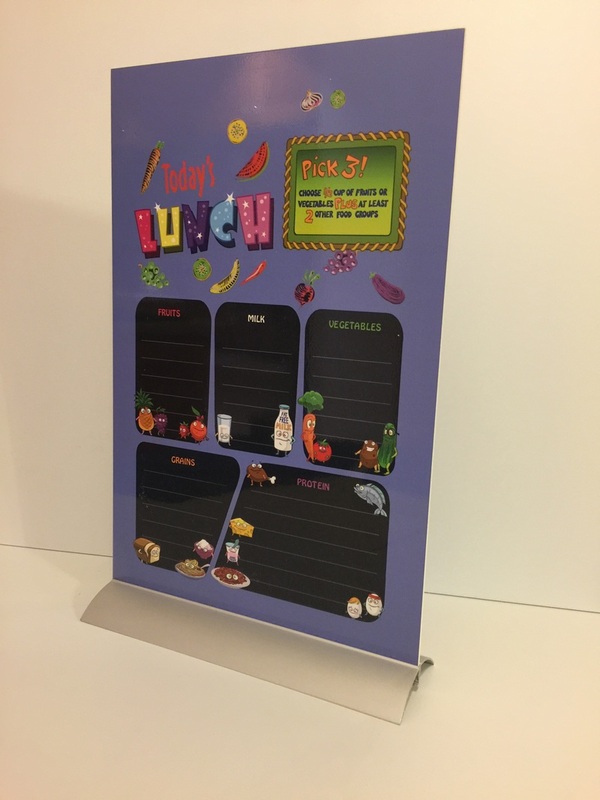 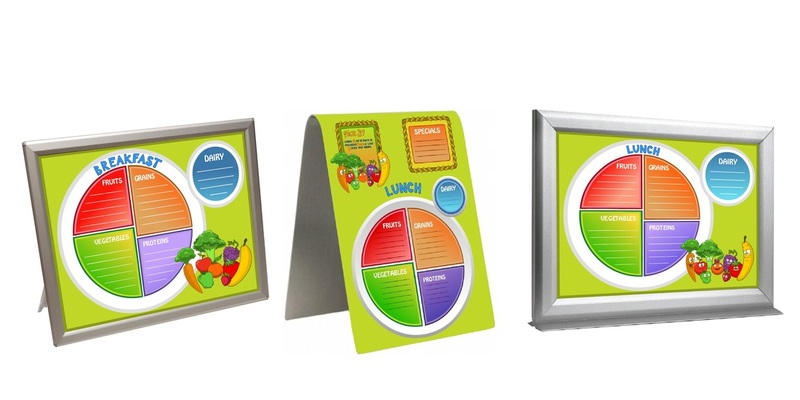 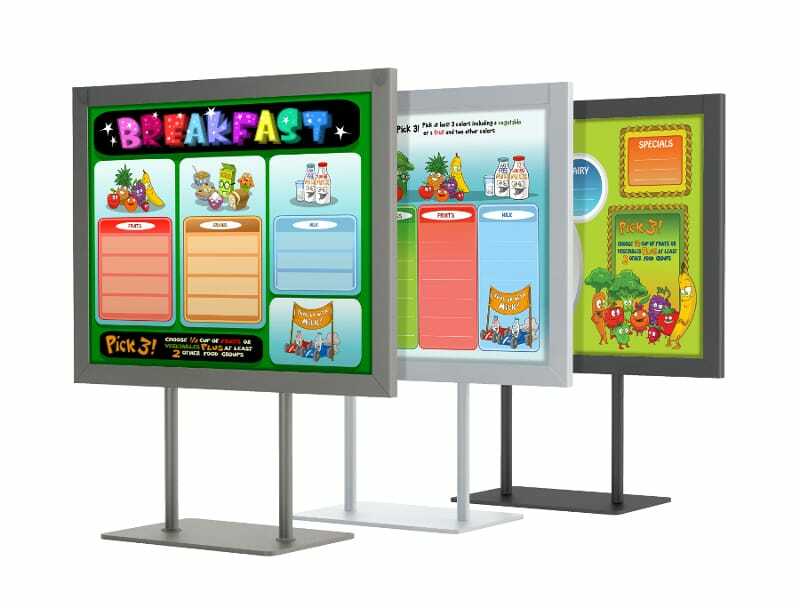 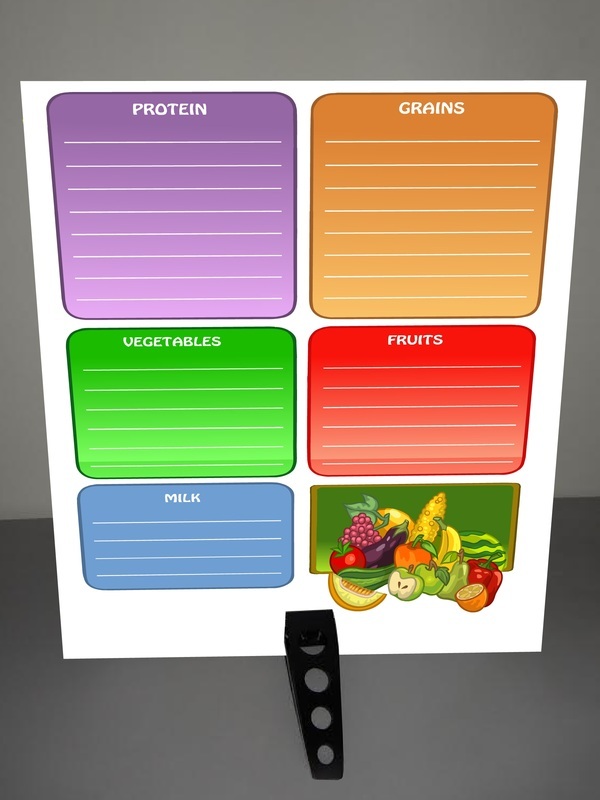 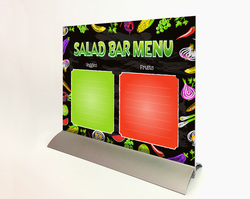 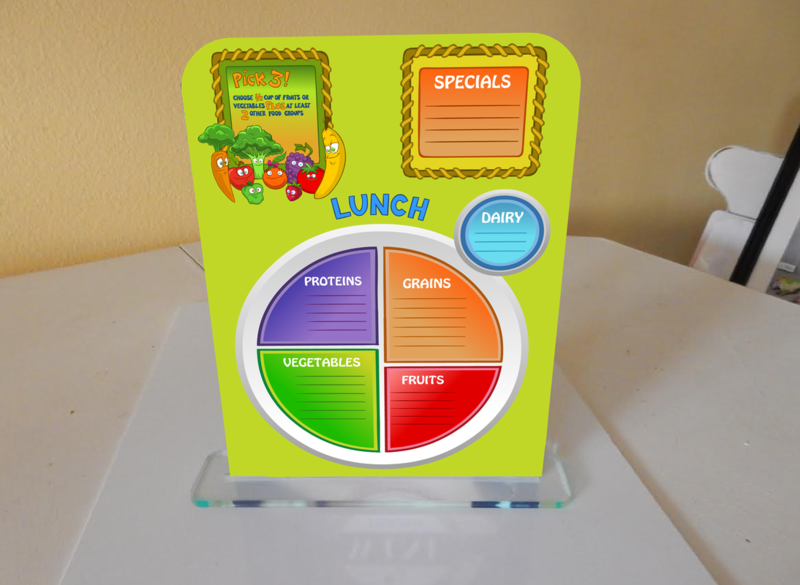 ﻿'Stand Up Rectangle MyPlate' Double Sided Dry Erase Menu Boards - 10"x8"
'Stand Up Circle MyPlate' Double Sided School Dry Erase Menu Boards - 8"
'Stand Up Flex MyPlate' Dry Erase MyPlate School Menu Boards - 10"x8"